Applying deep learning to analyze satellite imagery and automatically map infrastructures such as schools, health centres, roads or cell towers? Using digital footprints from sources like social media or mobility patterns to understand public spaces? Exploring ML/AI techniques to help us better understand the physical world that we live in and its rapidly changing environments, maps of schools? We encourage you to submit your application when ready as we will be reviewing on an ongoing basis. Only shortlisted companies will be contacted and then requested to submit a more in-depth proposal. **Women led projects are encouraged to apply. 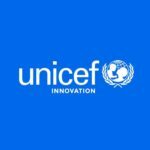 What does the UNICEF Innovation Fund provide? Seed funding. The Fund provides up to $100,000 in equity-free seed funding. The money is intended for you to validate and test your prototype, and get it to a stage where the company has proof that your solution works. Product and technology development. Selected startups will receive technical assistance from the UNICEF Ventures team to help validate and improve their solutions. Additionally, startups are plugged into a data-science focused cohort where they will be connected with other companies working on similar solutions, exchange lessons learned and share critical data. Business Growth. The Fund taps into a network of mentors who help startup teams develop their business model and strategy to grow their companies and ultimately profit. Data networks and platforms. UNICEF Ventures has a dedicated Data-Science team since 2014, developing partnerships, data platforms, and use cases. Through our network you can get access to world class researchers, corporate partnerships, and additional datasets. Read about our latest partnership stories here. Maximize impact for children. As the world’s leading organisation for children, UNICEF has a network of experts and partners across its Country Offices who can provide geographically localized advice on your solution, assess its impact, and develop partnerships needed to reach more users.